The novel was pretty much finished on Tuesday, and then . . .
. . . I woke up on Thursday with An Idea. But that was OK — the Idea was limited to one section of the novel, and it wouldn’t require much rejiggering. Then today I squinted at the novel from another angle, and that resulted in Another Idea. This one would involve changing the motivation of a major character, with consequences through the story. I think I need to follow up on both of these ideas. But what will happen when I actually read through my draft? John Steinbeck famously wrote The Grapes of Wrath in a few months. Where did I go wrong? 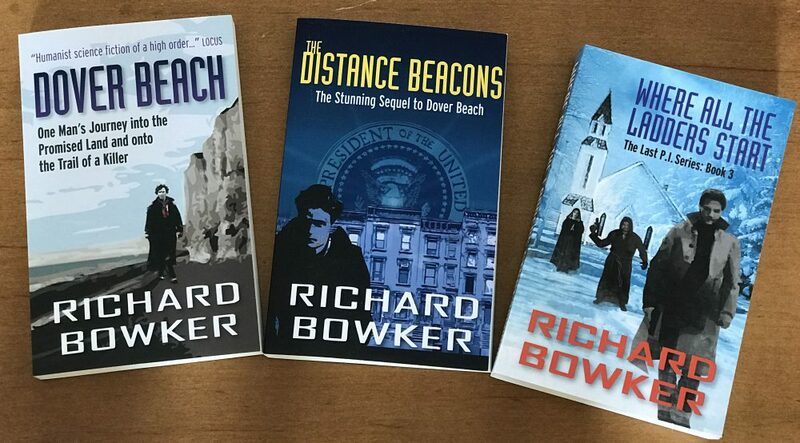 This entry was posted in Writing and tagged authors, fiction, literature, novels, Steinbeck, writing by Richard Bowker. Bookmark the permalink. There is much wisdom in the classics.